The exact cause of hepatic carcinoma is not known but it has been seen in the cases of Alcoholic cirrhosis, Macronodular cirrhosis, Haemochromatosis, B heptatitis, C hepatitis , Alpha I antiprotease deficiency, Tyrosinaemia and Aflatoxin exposure for a long time. a) Symptoms of primary disease may or may not be present. b) Anorexia, weakness, loss of flesh are important symptoms. f) Pain in the right hypochondriac region. Marked anorexia , cachexia, weight loss, etc. 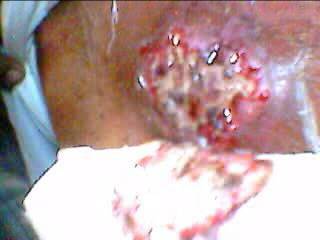 if develop suddenly in an otherwise stable cirrhosis patient this condition should be suspected. Again sudden development of ascitis (particularly bloody) in a stable patient of cirrhosis will also arouse suspicion for malignancy. Ascites of any degree may be present. As carcinoma occurs in 20% cases of macronodular cirrhosis one should think of its presence when ascities is persistent or it increases in an otherwise stable cirrhosis patient. A hard lump may be felt in the abdomen over the stomach or gall bladder region. Examination of the peritoneal fluid may show malignant cells. Needle biopsy of the liver may show malignant deposits. Sometimes laparoscopy or laparotomy may be required for liver biopsy. Biopsy of enlarged lymph nodes may also show secondary deposits. 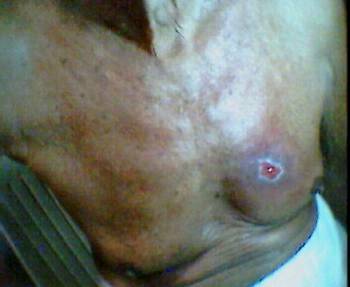 Blood examination may reveal leucocytosis and high ESR. Serum alkaline phosphatase is raised. 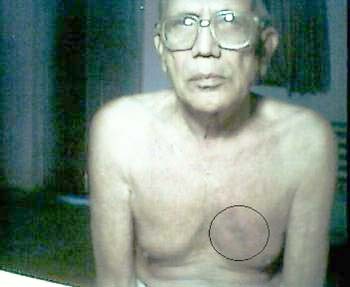 Alphafetoprptien is raised in 60%-80% cases of hepatoma (500 mg/cc or more (normal 1 to 10 mg/cc) but not in cholangioma. Arteriography may reveal a tumour “blush”. 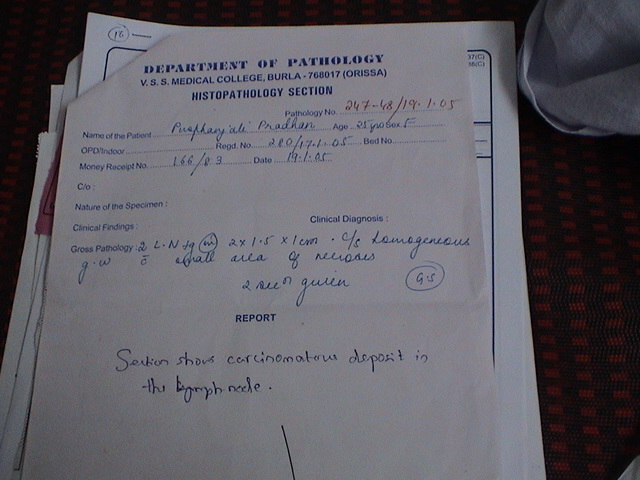 Liver scan is helpful in the diagnosis.